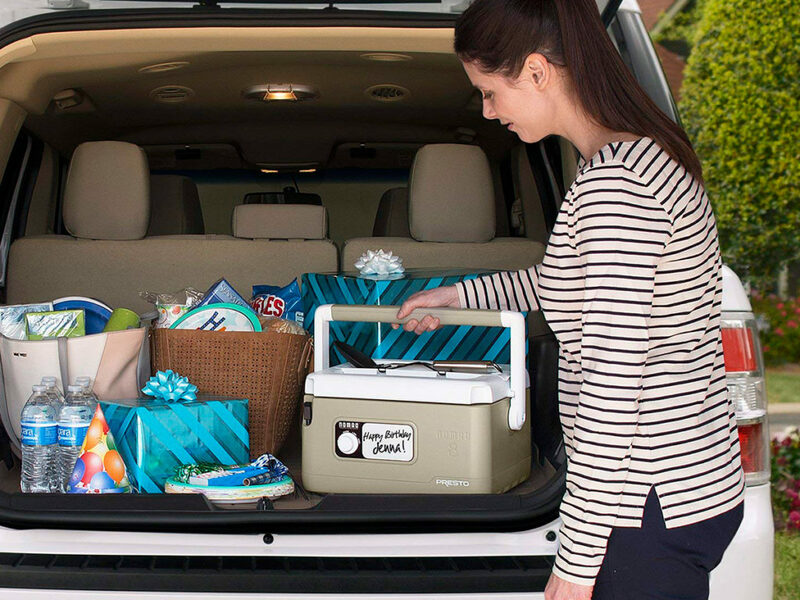 Enjoy your favorite slow-cooked dishes and meals wherever you happen to be. 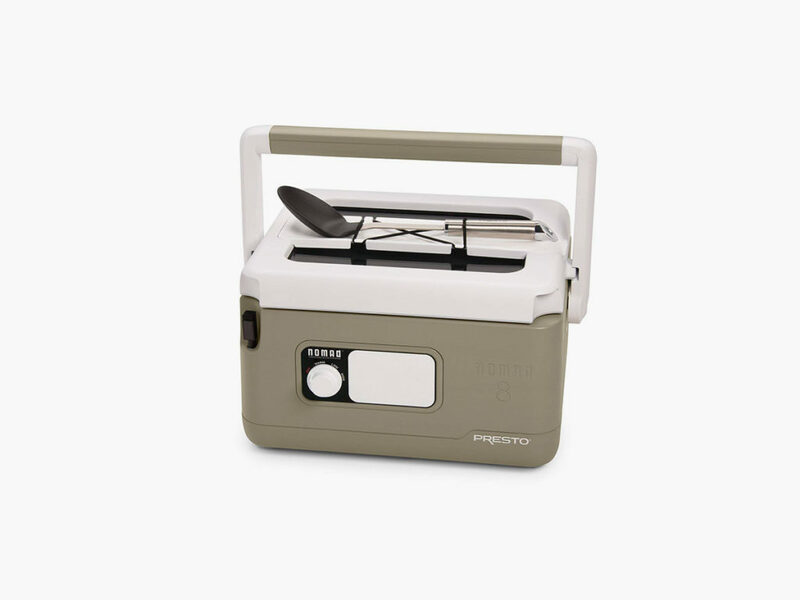 Love camping but hate leaving behind the comfort of a home-cooked meal? 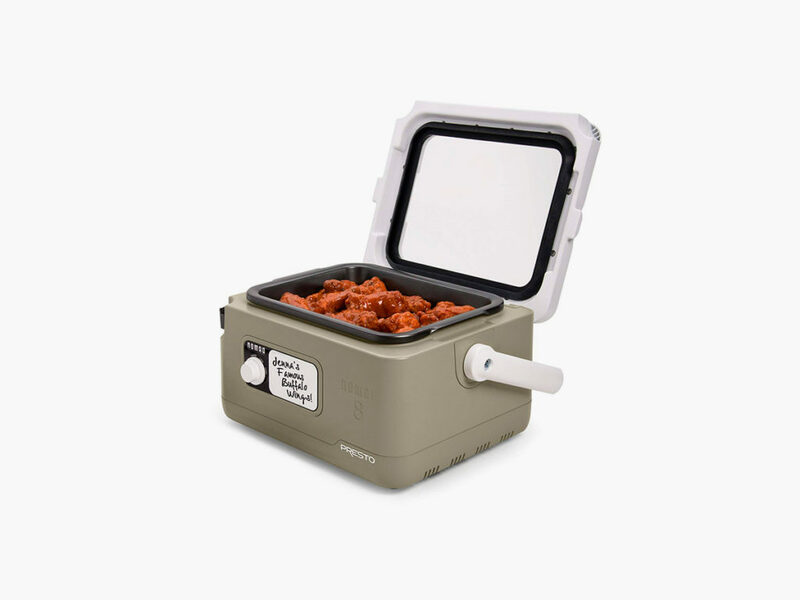 The Presto Nomad Portable Slow Cooker allows you to enjoy your favorite slow-cooked dishes and meals wherever you happen to be. 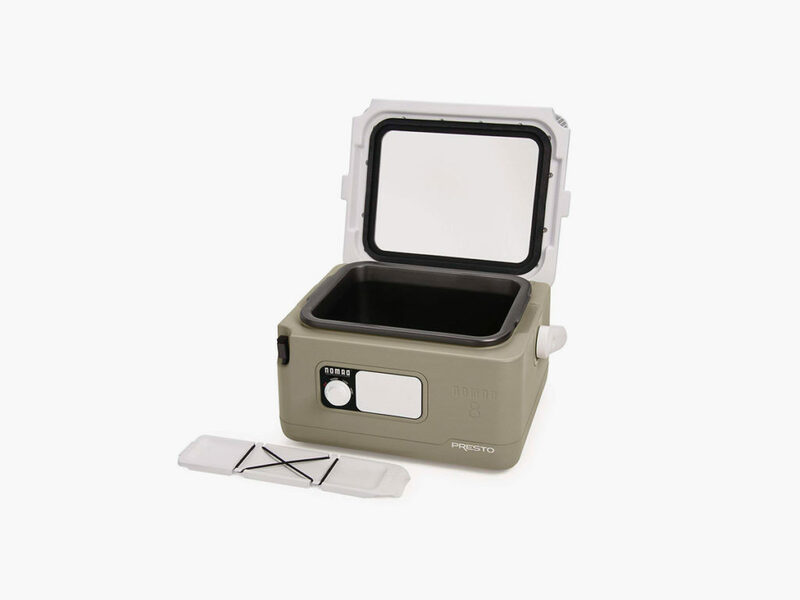 Whether you want to make baked beans in the backcountry or pork roast at the beach, the Nomad has you covered. 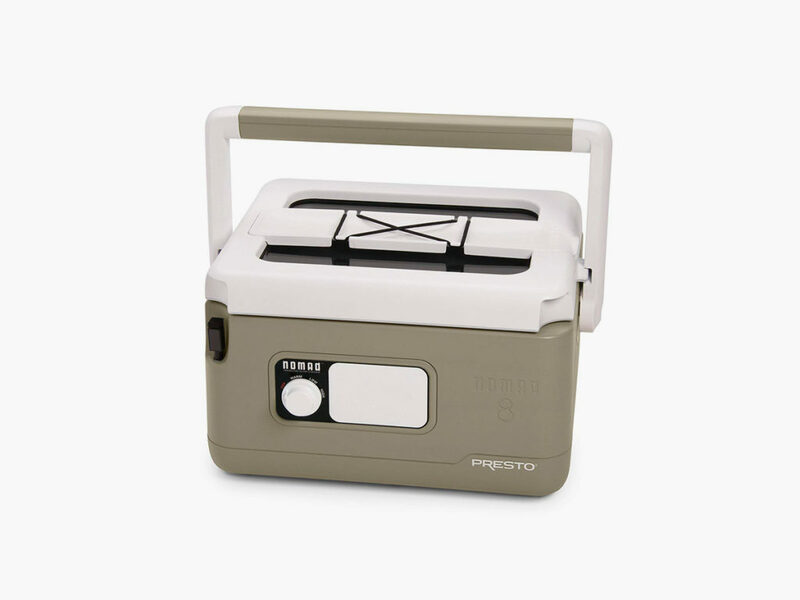 Featuring the rugged design qualities of a modern picnic cooler, this light and easy-to-carry cooker is encased within a cool-touch housing that is balanced to prevent tip-overs during travel. 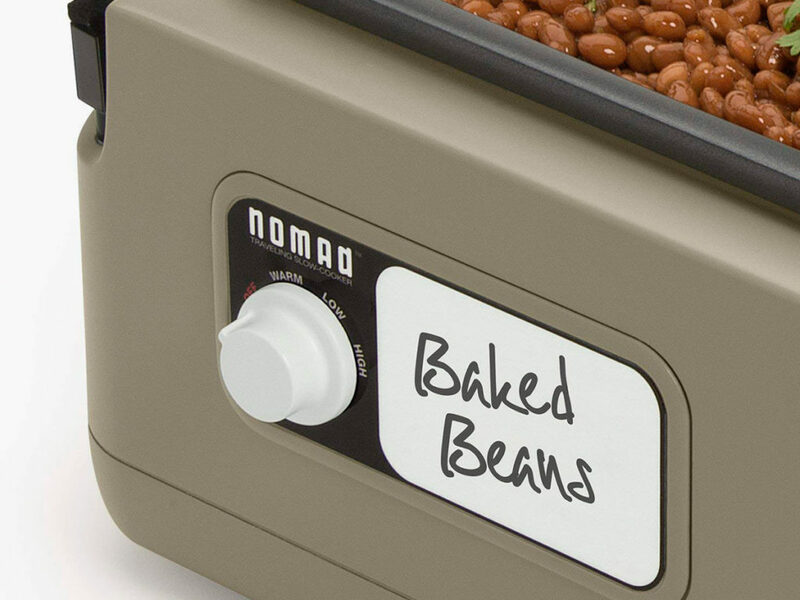 With the Nomad’s generous eight-quart capacity and three temperature settings, you can make all the slow-cooker recipes that you make at home, and you can make enough to feed the whole family. For maximum convenience, Presto outfits the Nomad with helpful finishing touches such as built-in cord storage, a removable utensil holder that doubles as a spoon rest, and even a tiny dry erase board and marker to leave messages!